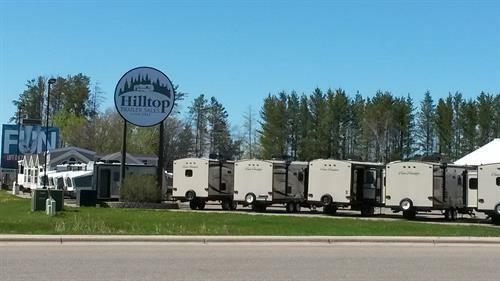 Family owned and operated since 1951, Hilltop Trailer Sales prides themselves by offering the highest quality RV's on the market today. Their experience and commitment to excellence has earned them a reputation as an RV industry leader achieving the RV Business top 50 dealer award for several years in row. You will find the lakes areas best selection of RV's, parts & accessories, and a fine selection of rentals.